Yes. At Pukka we recognise that climate change is an issue requiring urgent action by everyone who is a part of the global community. We have a climate change policy and mitigation and adaptation plan that includes all scope 1, 2 and 3 emissions. This includes a commitment to achieving carbon neutral company status under by 2017. We have chosen this target as the strongest possible commitment to reducing our greenhouse gas emissions. We currently measure all scope 1 and scope 2 emissions as well as available data for scope 3 emissions as shown in the table below. We use Defra Environmental Reporting Guidelines June 2013 to calculate our greenhouse gas emissions. Greenhouse gas emissions are reported to the board on a monthly basis where trends are analysed, opportunities identified and decisions taken. Greenhouse gas emissions are reported externally via Responsible100 and via an online portal to the West of England Carbon Challenge. We are a member of this network to share best practice and recently won their innovations award for our approach to mitigating our impact on climate change. A table of our emissions sources can be viewed here. However, most of the emissions associated with our products are in the use phase of the product lifecycle (most notably in boiling the kettle) and in the manufacturing phase (which is carried out by our co-packers). To address this, we are actively involved in promoting energy conservation and the use of renewable energy via charitable donations, campaigns and events and by providing advice to our suppliers. Our business is designed to succeed in a low-carbon and climate-resilient economy due to the organic farming methods used by our growers and our procurement choices. We only routinely import one ingredient by air as sea freight is not technically feasible and use consolidated deliveries and carbon neutral courier services where possible. Our full container loads from Felixstowe are now transported via rail rather than road. Our processors in the UK and Germany generate their own solar electricity. We purchase appliances (e.g. fridges and dishwashers) with high energy efficiency ratings and equipment (e.g. computers and shredders) with energy saving settings and carry out regular maintenance. All of our electricity and gas are sourced through Good Energy which ensures 100% renewable electricity as well as investment in renewable heat. The green tariff used is Good Energy’s main tariff which is certified under the Green Energy Supply Certification Scheme. 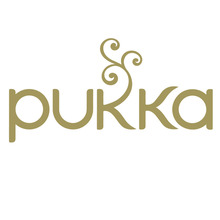 We are currently undertaking a risk management exercise which will better identify climate change risks, which were previously identified informally – for example risks to our growers of extreme weather events are managed through soil management practices, including tree planting and rainwater harvesting which are financed by Pukka. To encourage our team members to participate in greenhouse gas reductions, we carried out a whole-business climate change exercise in September 2014. A range of carbon reduction opportunities were identified and individuals have been encouraged to incorporate these into their personal development objectives which are monitored as part of the appraisal process. Our sustainability report documents these achievements. We have signs around the offices which remind team members to turn off devices when not in use and we have a range of incentives in place to encourage sustainable travel including car sharing, public transport and cycling information, facilities and discounts. New team members are also given a sustainability induction which includes communication of greenhouse gas reduction initiatives. We also support emissions reductions outside of our own business through charitable donations. For example we support an Applied Environmental Research Foundation projectthat conserves forest in India and donate to renewable energy projects locally with Bristol Energy Co-operative. We also support WWF’s Living Himalayas initiative through on-pack donations to understand the impacts of climate change and develop plans to allow people and wildlife to adapt to these changes.